Welcome to the 2nd Grade Math Salamanders How to Print support page. 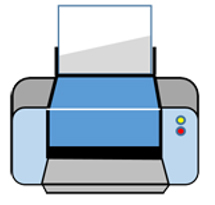 This page will help to ensure that you can print our worksheets with the optimal printer settings. All the worksheets on this website have been created as images or picture files. This means that they need to be printed (or saved) as pictures rather than documents. On this page, you will find instructions and information on how to print worksheets from this website. There is also a short 'How to Print' video for you to watch which will show you exactly how to print your pages correctly. Each web browser (Google Chrome, Internet Explorer, Firefox. etc) has slightly different ways of printing listed below. See below for instructions to help you print. Select the worksheet you want by clicking on the thumbnail image. Click on the magnifier to get your sheet the correct size. Go to the Print menu and choose ‘Page Setup’. Check the ‘Shrink-to-Fit’ box and set your page margins to zero. Go to the Print menu and select ‘Print’ to print a copy. Right-click the image and choose ‘Save picture’ to save a copy. The following short video will show you how to print a worksheet in Internet Explorer (IE version 10). Go to the Print menu. Set your page margins to 'none'. Go to the top of the Print menu screen and select ‘Print’ to print a copy. The following short video will show you how to print a worksheet in Google Chrome. The following short video will show you how to print a worksheet in Mozilla Firefox. If you would like information about our copyright policy on the use of our worksheets and images, use the link below. We hope you have found the information on this page useful. Please feel free to leave us a comment in the Facebook plugin below.